As is tradition in the legal profession, the opening of Law Term is marked with black tie dinners and religious ceremonies. The Honourable T E F Bathurst AC, Chief Justice of New South Wales, delivered an insightful speech titled “The place of lawyers in politics” at the Opening of Law Term dinner. For the profession, marking the opening of a new Law Term gives it time to reflect on the year that has passed and meditate upon the one ahead. With the passing of each year the pressures and pace of the administration and practice of law increase. The introduction of new technologies over the past 25 years has dramatically changed the way in which a practitioner goes about using legal knowledge to fulfil their obligation to society. While it has always been the case that lawyers must know the law as it applies to a particular matter and be aware of any changes that may affect their client’s position, in the economic pressures of the digital age it is expected that one is able to (almost) instantaneously ascertain the relevant current law. The words spoken by Tancredi in The Leopard are particularly relevant to the administration and practice of the law in the digital age. Digital disruption in the law (namely the use of artificial intelligence and machine learning) will continue to be a ubiquitous presence in day to day practice. The role that technology, when used for the greater good, can play in promoting the rule of law cannot be underestimated. 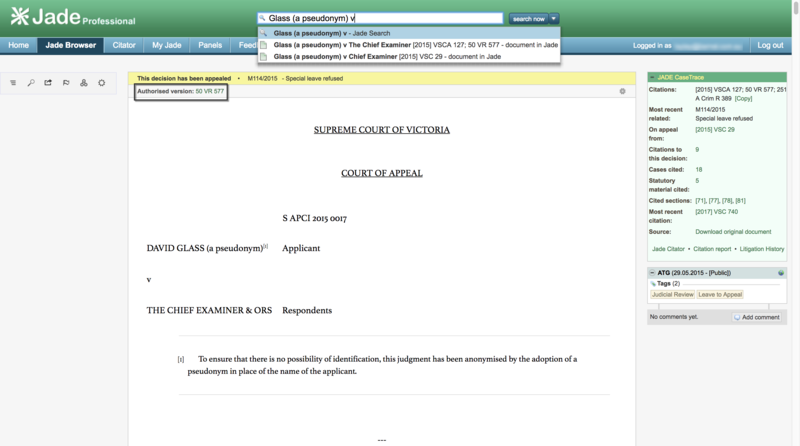 Tools such as JADE Professional and electronic portals such as those for the Victorian Reports and New South Wales Law Reports harness the power of technology not only to allow the courts and the profession at large to continue to use their knowledge to the advantage of society, but also to make the law more accessible and relevant to the ordinary citizen. Join the revolution. Subscribe to, or renew your subscription to, JADE Professional in the month of February and receive 13 months for the price of 12, together with a copy of “Whiteley on Trial” by Gabriella Coslovich. What a year it has been! The team at JADE and Little William Bourke (the publisher of the Victorian Reports) have welcomed new friends, said goodbye to old ones; collectively flown tens of thousands of kilometres to teach, learn and explore new opportunities; and continued on our mission as leading digital disruptors in the legal information and research space. We’ve travelled the country far and wide this year, delivering training sessions to our faithful subscribers and wooing new ones with the power of JADE and the technological advances in law reporting. Once again, we were overwhelmed with feedback from our users about how JADE Professional helps them work faster, better and smarter. 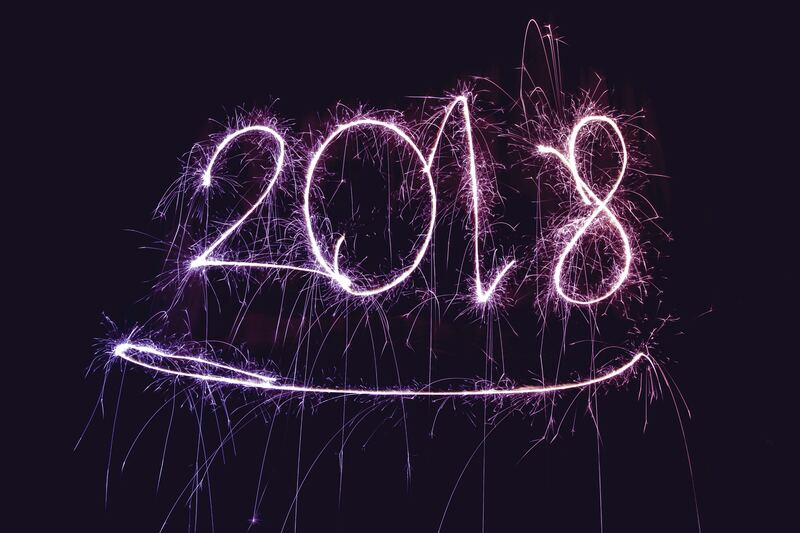 2018 – The best is yet to come! Wishing you all a happy festive season, and a happy, healthy and prosperous New Year! 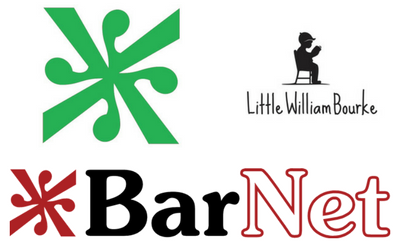 Under the BarNet banner, we were very privileged to work with the Council of Law Reporting of New South Wales to build their online portal for the New South Wales Law Reports. In the same mould as the Victorian Reports, our aim was to develop a portal that allows the democratic access to all of the reported cases of the New South Wales Supreme Court in a flexible and cost-effective manner. Launched in June this year by his Honour Chief Justice Bathurst, the NSWLR portal has been well received, not only in its home state but interstate and internationally. On a daily basis, we see users from far and wide accessing judgements of the New South Wales Supreme Court … from a user in WA downloading Baltic Shipping Company v Dillon “Mikhail Lermontov” (1991) 22 NSWLR 1, to a user in Yorktown Heights, New York ordering a copy of Proctor v Jetway Aviation  2 NSWLR 264. The launch of the NSWLR portal represents another exciting development in not only the evolution of law reporting but the preservation of Australian legal history. 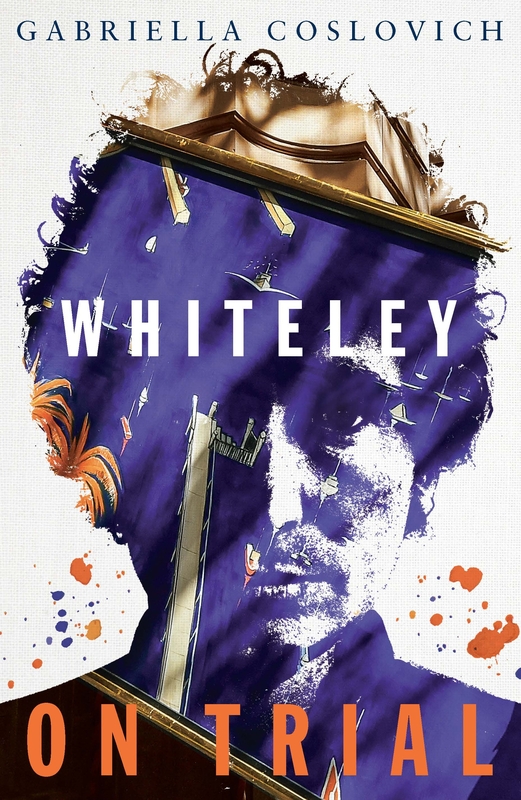 We are offering a complimentary copy of Whiteley on Trial by Gabriella Coslovich to new and renewing annual JADE Professional subscribers. To take advantage of this offer, simply visit https://jade.io/WOT by 24 December. 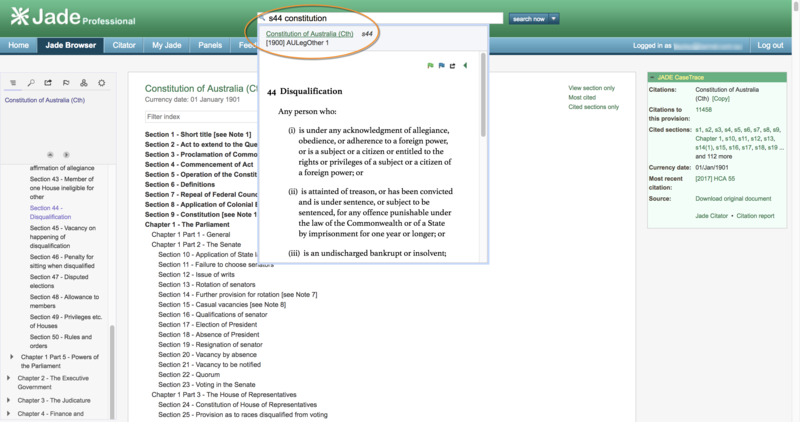 While section 44 of the Constitution has been around … well, since the enactment of the Constitution, it seems that it was only this year that some of our parliamentarians looked to their lineage and, shock horror, discovered that they may not have done the necessary due diligence before signing their nomination forms for their election to the Senate and House of Representatives. One by one we saw our politicians falling foul of the rule of section 44. Step 1: Look at section 44 of the Constitution! What would this tell you? 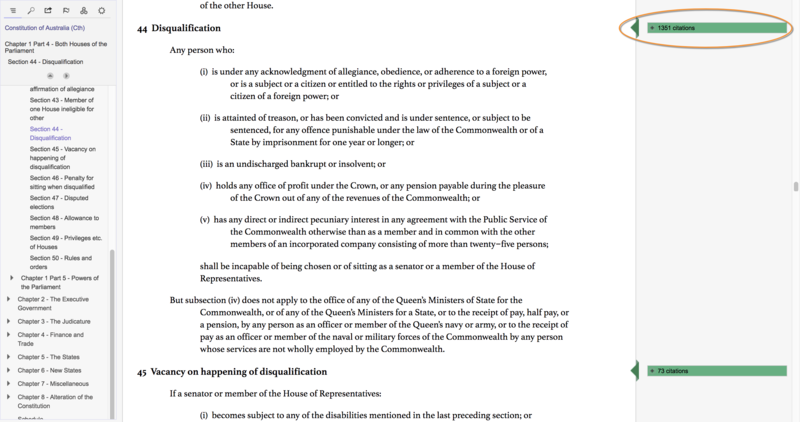 The rules by which you must abide when nominating for a position in federal Parliament, of course! Step 2: click on the Jadeclip … that innocuous little green clip on the right-hand side of the page … and unlock the power of JADE Professional! Find the latest case which considers section 44 of the Constitution and jump straight to the citations of that section in those cases. Set an alert to be notified of any cases decided on this particular section between now and the election. 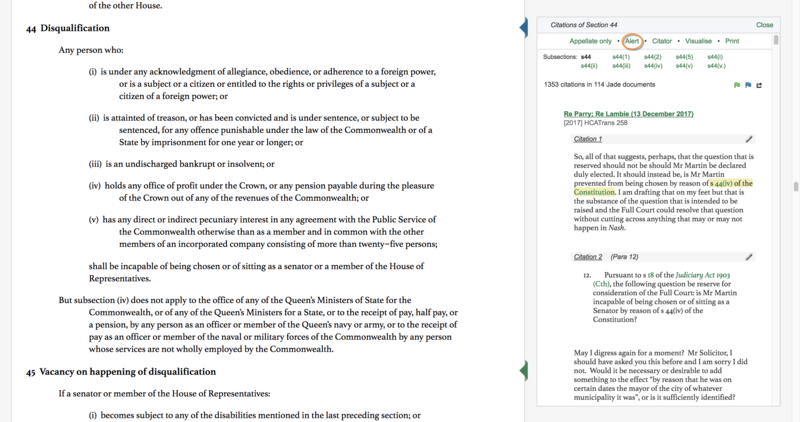 Step 3: use our Citator tool to see how words and phrases like “eligibility”, “dual citizen”, “foreign citizenship” and “disqualified” have been used in judicial reasoning in the context of section 44. Step 4: read those cases, analyse the judicial consideration of section 44 and call your mum just to check where she was born and confirm that she renounced her foreign citizenship before you sign that declaration! “Constitutional crisis” averted! Easy (with the power of JADE)! PS – we almost “broke the internet” on 27 October when the High Court handed down in its decision in Re Canavan  HCA 45. 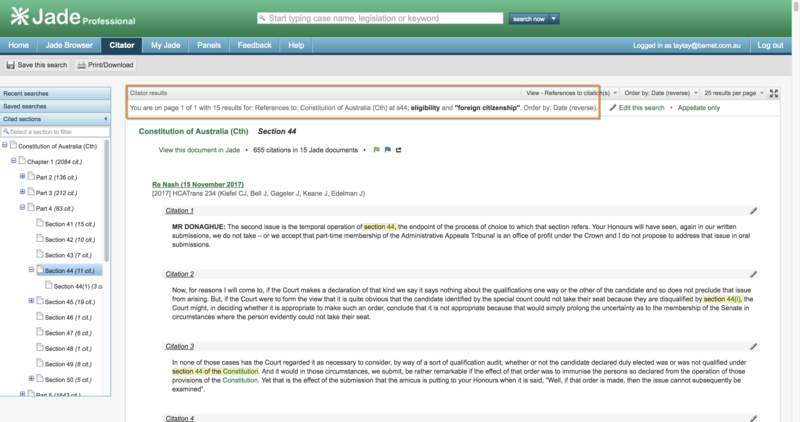 The first legal publisher in Australia to publish the decision online, users are able to quickly see and navigate their way through the litigation history, cases and legislation cited by this decision and subsequent cases which cite it with just a few easy clicks. 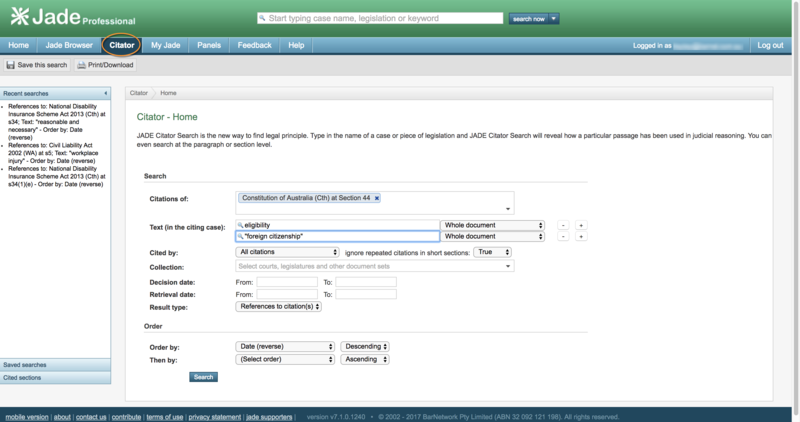 Our developers have been busy further refining the functionality of the Victorian Reports portal (www.victorianreports.com.au) to make it easier for VR subscribers to work with content from within JADE. 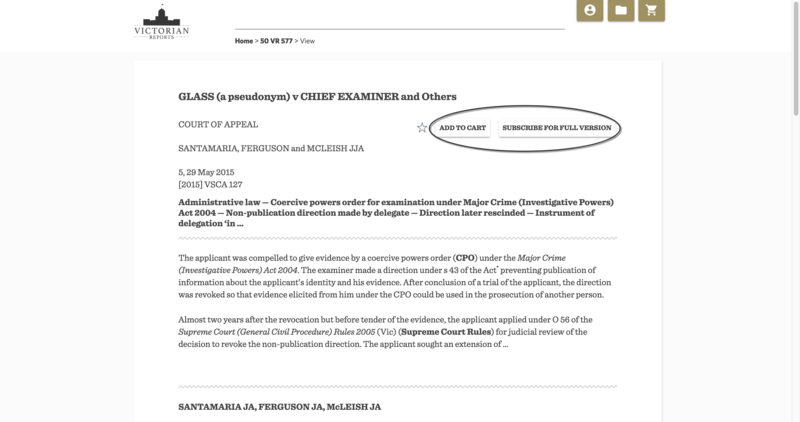 VR subscribers can jump straight to the authorised report of a decision with one click. Without a subscription, users are able to view the catchwords of the decision and an excerpt of the headnote and make a once-off purchase a copy of the authorised report in digital format or subscribe to the Victorian Reports online or in print, or both! We launched our Little William Bourke inaugural Summer CPD Series – a great event chaired by the editor of Victorian Reports, Mr Peter Willis SC with an esteemed panel comprising of Mr Charles Gunst QC; Mr David Levin QC; Mr David Klempfer; and Ms Katie Stynes. The event was kindly hosted by VicBar and held at Owen Dixon Chambers in the Neil McPhee Room. The session involved an informative lunchtime discussion of cases reported in Victorian Reports as they relate to solicitors’ duties and overarching obligations owed to clients by those members of the Bar involved in the reported cases. In 2018, we will introduce alerts to notify VR subscribers of cases selected to be reported in forthcoming volumes of the Reports to assist practitioners identifying those cases which impact on the application of the law in advance of publication of the authorised report. We continue to publish the Victorian Reports in print and online, offering democratic access to all with flexible pricing models. Little William Bourke, the sister organisation of JADE and publisher of the Victorian Reports, believes that practitioners and the public alike should have affordable access not only to the decisions published by the Court, but also the informative insights of practitioners who dedicate their time to reporting decisions of legal and practical significance to the development of Victorian and Australian law. Alerts, JADE clips, visualisation tools and document uploading continue to be popular tools with our users, helping to improve their efficiency and maintain current awareness. 2018 will see JADE evolving, with exciting changes allowing users to create a bespoke subscription tailored to practice needs. We are also introducing a new and innovative way to research legislation, as well as continuing to expand our coverage. Like any business, the expansion of our service offering will see changes to our pricing. These changes will allow us to offer our users more flexibility and reinvest in the business so we can continue to offer new and unique functionality in the legal research space. While our pricing will change with modest increases to monthly and annual subscriptions, we will grandfather our existing subscribers for a period of 6 months from their 2018 renewal date with the opportunity to fully explore our new subscription tiers.